ICANN has slapped a de facto ban on so-called “closed generic” gTLDs, at least for the remaining 2012 round applicants. 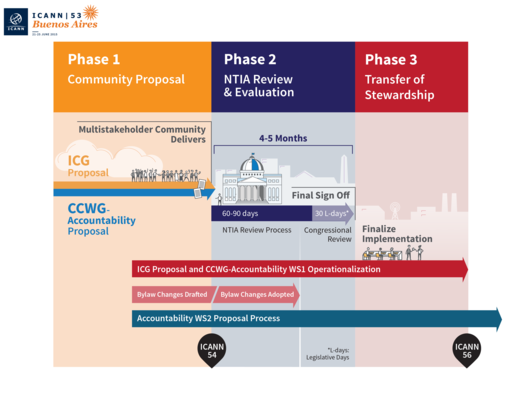 The ICANN board’s New gTLD Program Committee passed a resolution Sunday that un-freezes the remaining new gTLD applications that envisage a namespace wholly controlled by the applicant. The affected strings are .hotels, .dvr and .grocery, which are uncontested, as well as .food, .data and .phone, which are contested by one or two other applicants. The NGPC said five strings are affected, but the ICANN web site currently shows these six. The resolution allows the contested strings to head to dispute resolution or auction, but makes it clear that “exclusive generic gTLDs” will not be able to sign a registry contract. Instead, they will either have to withdraw their applications (receiving a partial refund), drop their exclusivity plans, or have their applications carried over to the second new gTLD round. The GNSO has been asked to develop a policy on closed generics for the second round, which is still probably years away. It’s not clear whether other applicants would be able to apply for strings that are carried over, potentially making the close generic applicant fight two contention sets. The NGPC decision comes over two years after the Governmental Advisory Committee advised that closed generics must serve “a public interest goal” or be rejected. This weekend’s resolution sidesteps the “public interest” question altogether. 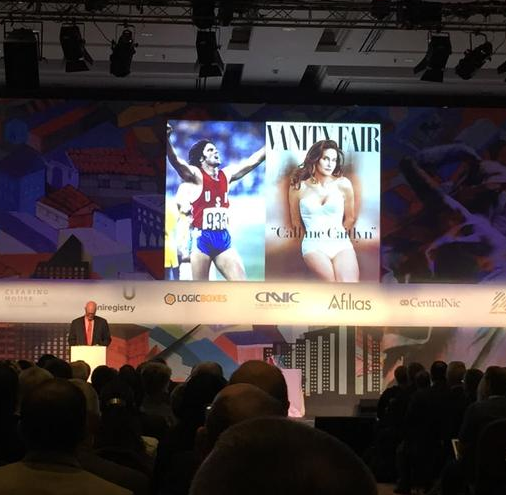 ICANN has risked the ire of community members by kicking off ICANN 53 today with a joke referencing transgender celebrity Bruce/Caitlyn Jenner. Just moments into his opening address this hour, ICANN chair Steve Crocker worked a joke around before/after photos of the former athlete. What are we really talking about here? What is this thing we call “the transition”? And why has it captivated the attention of so many? Ahhh, no. That’s not quite the transition that I’m referring to. I’m only referring to the IANA stewardship transition. Reaction from attendees was mixed. The joke got laughter from the room. On Twitter, some were less amused. #ICANN53 starts with a joke at the expense of the LGBTQI population. I guess that is better than a prayer. But not a lot. Ehhh….what just happened there. Seriously #ICANN, some things one do not joke about. I’ll be the first to leap to the defense of the joke. I laughed. I don’t think it was offensive or insulting to Jenner or to trans people in general — it was more a joke about celebrity culture — and I don’t think any offense was intended. If I had seen it on TV, I wouldn’t have batted an eyelid. I even made a joke about Jenner’s Vanity Fair cover, on Twitter, a couple weeks back. But a lot of ICANN regulars are more sensitive about this kind of thing. I’ve had conversations with people who believe it was highly inappropriate for CEO Fadi Chehade to congratulate a participant, from the stage during a previous meeting, on her visible pregnancy. For ICANN’s chairman to make a joke about a transgender person’s transition at the opening ceremony of a major meeting? That’s a misjudgment, in my view. ICANN, recall, has recently been bombarded with letters from equal rights groups over the decision by the Economist Intelligence Unit to reject a .gay gTLD applicant’s Community Priority Evaluation. EIU based its decision in large part on the fact that the proposed .gay community included transgender and intersex people, which the EIU said were not encapsulated by the string “gay”. ICANN has expected standards of behavior for its meetings that cover such things as sexism and homophobia. I understand that I may have inadvertently offended some during my speech at this morning’s welcome session with a reference to Caitlyn Jenner, which was intended as a salute. It opened up an important dialog that is consistent with our principles. Please know that I view Caitlyn’s decision to be heroic and brave. I made this reference solely because of the world attention on a transition and it was not intended in any way, shape or form to be a criticism of her heroic decision. I was in no way making light or poking fun at her transition, but rather playing on the world attention on a “transition.” I apologize if my comments were perceived in a different manner than I intended them.